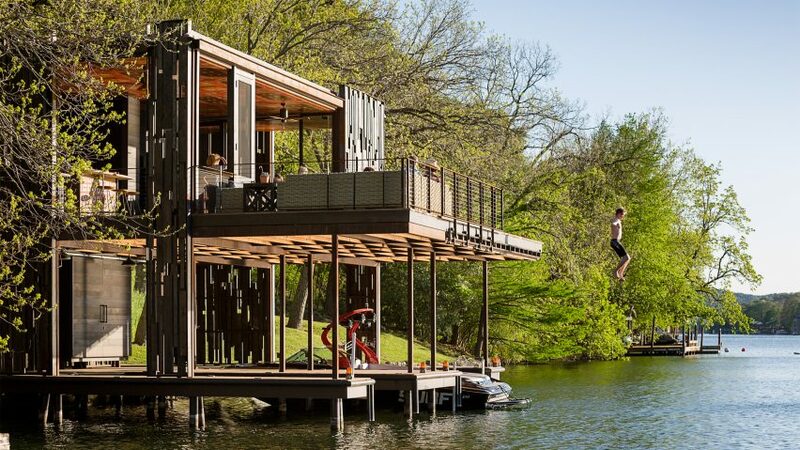 US firm Andersson-Wise Architects has created a modest boathouse in Texas, designed to blend with its site as if it were "in a state of natural decomposition". 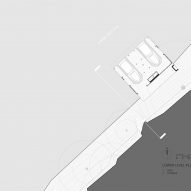 "The Bunny Run Boat Dock is an exploration of material and massing intended to look so blended into the site that it appears softly in a state of natural decomposition," said Andersson-Wise Architects, which is based locally. 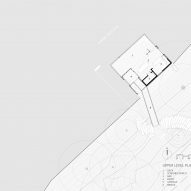 The team used several species of wood for the project – an amalgamation that is meant to "form an environment that is consistent with the natural wooded shoreline of the lake". "The architectural palette is complemented by several reclaimed items: antique doors from India, a timeworn butcher block from England and a steel structure that weathers naturally," the architects said. 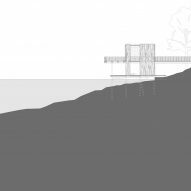 Designed to be an "all-exterior experience", the boathouse is a place where visitors can feel immersed in the natural context. "The experience is intended to be an inviting homage to the beautiful climate and setting – a place to become connected to and surrounded by nature," the firm said.